Jazz composer and arranger Gerald Wilson, whose career spanned more than 75 years, has died at the age of 96. Gerald Wilson’s son, jazz guitarist Anthony Wilson, said his father died on September 8 at his Los Angeles home from pneumonia. The big band leader began his career in the late 1930s as a trumpeter for Jimmy Lunceford’s band before forming his own big band in 1944 featuring female trombonist Melba Listo. He played and worked as a composer-arranger with the likes of Duke Ellington, Count Basie, Benny Carter and Dizzy Gillespie, and he arranged music for Ella Fitzgerald, Ray Charles, Sarah Vaughan, Carmen McRae and Bobby Darin. Gerald Wilson, who was born in Shelby, Mississippi, and later moved with his family to Detroit, started out on piano and bought his first trumpet at age 11. During his tenure as a trumpeter with Lunceford, he arranged the hit tunes Hi Spook and Yard Dog Mazurka. 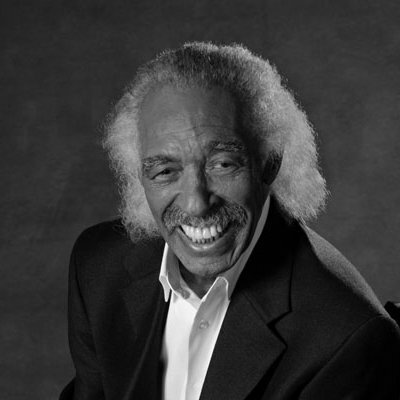 After four years with Lunceford and a stint in the U.S. Navy during World War II, Gerald Wilson settled in Los Angeles, where he worked in the bands of Benny Carter, Les Hite and Phil Moore before forming his own band. He worked with Billie Holiday on the singer’s tour of the South in 1949. Gerald Wilson led his own bands in the ’50s and ’60s, but took frequent hiatuses as he became one of the most in demand arrangers and orchestrators in jazz and pop music. He wrote more than 60 charts for Charles, scored motion pictures such as Otto Preminger’s Anatomy of a Murder, and served as the conductor and music director of TV’sThe Red Foxx Show. However, despite his commercial success, Gerald Wilson never gave up his dedication to jazz. His marriage to a Mexican-American, Josefina Villasenor Wilson, led him to incorporate Latin music into his jazz compositions. His tune, Viva Tirado, dedicated to bullfighter Jose Ramon Tirado, became a Top 40 pop hit for the rock group El Chicano in 1970. He also composed his first piece for symphony orchestra, Debut: 5/21/72, on a commission from Zubin Mehta and the Los Angeles Philharmonic. Gerald Wilson became famous for his dance-like style of conducting, which he said helped listeners know what they were hearing.